The difference between "Kit" and "Assembled doll"
There are two kinds of dolls which Alice in Labyrinth sells, "Kit" and "Assembled doll". "Kit" is only minimum finish given by us, and finish and assemble it by owner's hand. "Assembled doll", this item is sent out into a fancy box in the state assembled. Please choose painting and parting line removing as an option. We connect you a shipping timetable etc. by e-mail after a payment check. 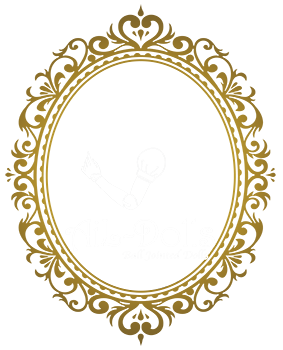 About the date of delivery Only a head; within two weeks, AiL doll; within four weeks, will be delivered under normal conditions. It will take still more 1~2 weeks when ordering painting options etc. Please give us a connection with the order number. Although we are inspecting the products carefully, if goods should be damaged or initial failure is seen, please contact us with the order number and a photograph within one week from arrival. Due to the paint to blend, restrict to a normal color, patchy patterns may come out. Although we are inspecting the products carefully, if patchy patterns should come out after arrival, please contact us with the order number and a photograph. Please contact us, if the part has been damaged, however, we can only cope with unexpected breakages without intentional remodeling sanding, cutting etc. We are not making sales of individual parts other than unexpected breakage. The resin cast will turn yellow with years pass, due to the preservation state. Since this is the property of resin it is not a fault, so cannot protect completely, but yellowing is delayable by avoiding ultraviolet rays as much as possible. Please take care of avoiding direct rays, keeping in a dark place. In addition, if any faults are seen, there are some cases that we can cope free of charge, less than six months from items arrival. Please send us the picture of comparatively large size in the contribution. Please attach the owner name, the Doll name, the painting artist, nationality, etc. Moreover, we also post the link to your HP and SNS. Please ask directly from the icon of mail at the bottom of the page. Alice in Labyrinth is producing and sale of original ball joint doll series (AiL-Dolls).